The law in the State of Israel explicitly states that the Ministry of Education is responsible for educating our children. Zehut strongly opposes this concept and posits that those responsible for the child’s education are first and foremost the parents, who must determine the framework of the curriculum and the contents that the child will learn. 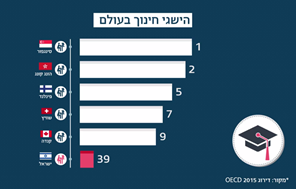 Unfortunately, although national expenditure on education is currently the highest in Israel, the results are bleak, as evidenced by comparative international tests. Accordingly, Zehut proposes the voucher method, practiced in several places around the world: a system that combines public funding and free competition, and most importantly, restores the responsibility for education to parents. As part of this method, parents who so wish will be able to directly receive from the Ministry of Education a voucher of monetary value that they can use in any school they wish to fund their children’s studies. In correspondence to the current budget, the voucher would be NIS 3,000 a month for the child. The adoption of the system (parallel to the current system) will create a variety of independent schools that will compete for the parents’ vouchers, thus offering a curriculum adapted to the wishes of the parents and not to the will of the bureaucratic system. In addition, these schools will be able to offer very high salaries to teachers in order to attract the best, as is the case in high-tech, for example. The independence and strength of the family unit are the cornerstone of society as a whole. Zehut opposes the state’s intervention in the character of the family. The only area in which the state will have to intervene in family decisions is in the case of the disintegration of the family unit. However, the state should be a bridge between the sides and not make the situation worse. Cancellation of the Tender Years Clause, in accordance with the recommendations of the Schnitt Committee. Under the current law, most of the burden of child support (alimony) rests upon the father. This law does not take sufficient account of the time of the children’s stay with the father or the mother’s economic situation. Zehut believes that this law is unequal and irrelevant to today’s reality, and will act to correct it. Examination of the laws and procedures of the Family Courts. In addition, Zehut intends to act in the area of ​​complaints of domestic violence. Currently, the State Prosecutor’s Office and the police refrain from criminal investigation and prosecution in cases of false complaints. Zehut will formulate procedures according to which a well-founded suspicion of a false complaint will constitute grounds for opening a criminal investigation. In addition, as part of its economic plan (see below), Zehut will cancel the tax brackets and adopt the flat tax method. In the family context, this will ensure that families in which only one spouse works will not pay more taxes than a family in which both spouses work. The National Insurance Institute is a cumbersome and inefficient mechanism. The private market can provide many of its services. The many deficits accumulated by the National Insurance Institute ensure its ultimate collapse. This is not a forecast of economists alone, but an explicit warning by the Mossad itself that cautions of this collapse. Gradual reduction of the state’s insurance services (loss of work-fitness insurance, long-term care insurance and disability insurance) and their transfer to the free market. Following the first step, a significant reduction in insurance premiums is expected. Every Israeli resident will be required to provide himself with minimal insurance coverage. Employers will be required to purchase insurance against work accidents for their employees . Those people entitled to pensions will continue to receive them. 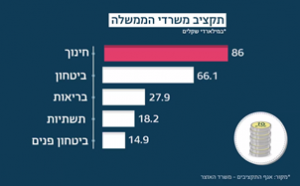 Zehut will promote a road safety reform aimed at maintaining the full insurance coverage appropriate to the victims, while restoring full responsibility to the drivers and creating a different driving culture in Israel. If a third party is injured, the insurance company will reimburse the victim as is currently done, but after that the insurance company will be able to sue the offending driver for the full amount paid to the victim. In the field of ​​health care, Zehut’s goal is to provide a transparent, efficient and free option to purchase private health services at a variety of levels and prices. At the same time, Zehut will promote the streamlining of existing hospitals through competition in the free market, with a commitment not to harm the current level of prices and services. Hospitals will be privatized in the process of open tender. The health funds and the government will not be allowed to own hospitals. The developers who purchase the hospitals will commit themselves to a long-term contract to maintain the current price level and not to reduce the medical services of the hospitals they purchased. The HMOs will purchase the services for their clients from private hospitals in the same manner and at the same cost as they purchased them from state-owned hospitals. Each private hospital will be allowed to engage in medical tourism and conduct private surgeries. To this end they would be allowed to devote regular lessons during doctors’ and medical personnel working hours and use the beds in their possession. The anticipated salary raise for talented physicians will encourage them to stay and work in Israel and will even encourage the Aliyah of doctors and medical staff from abroad. Similarly, the opening of the market to competition will attract new investors and entrepreneurs to Israel. Every health entrepreneur will be granted the right to set up a hotel and a commercial center next to the hospital under one license, which will constitute a source of income in addition to the direct income from the health funds and private surgery. The process of setting up new private hospitals will be facilitated. In addition, Zehut will act to abolish restrictions on the use of medical cannabis and allow growers to export cannabis for medical purposes (see below). The state must allow every person to express anything that he is permitted to express by law, and by whatever means he chooses. Media free of restrictions and state intervention is a necessary condition for the existence of freedom of expression. Therefore, Zehut will act to release the private media bodies from the severe restrictions imposed on them, promote free communication and protect freedom of expression. According to the Zehut model, the system of concessions will be canceled, and broadcasting will be performed with a license and not a concession. The right to use the broadcasting frequencies will be leased for a period of four years to the highest bidder, through a tender. The only condition for holding the license, other than meeting the financial obligation, will be to refrain from publishing content prohibited by law. In light of this, most of the functions of the Second Authority will be canceled. The Second Authority will deal solely with the distribution of frequencies and broadcasting licenses to entrepreneurs who will win the tender and collect money from the winning entrepreneurs.